Carol White, a Boca Raton resident, is an award-winning novelist, playwright, and free-lance writer. Her essays, stories and columns have been published by The Sun Sentinel, Writers Journal, Insight for Playwrights, Working Writers, Woman’s World, The Florida Writer, and Senior Scene. She is a frequent fiction contributor to the East Hampton Star Newspaper. Carol is a long-standing member and officer of the National League of American Pen Women. 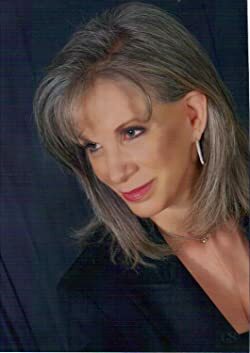 As the former Executive Producer for the Boca Raton Theatre Guild, Carol has worked in every facet of the theatre – from backstage dresser to producing full-scale musicals, and moderated a playwright critique workshop during that time. She has mentored high school and college students advising them on theatre production, and has given many young actors their start in community theatre. She won second and third place for full-length plays in the Royal Palm Literary Awards sponsored by The Florida Writer. Carol presents book talks and workshops in local libraries, women’s clubs, colleges and other venues. Workshops include jump-starting your creativity, memoir/essay writing, and short play writing.